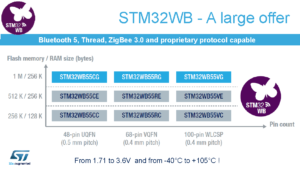 STM32WB – Dual-Core with Cortex-M and interface for Bluetooth 5, ZigBee, MiWi and more. 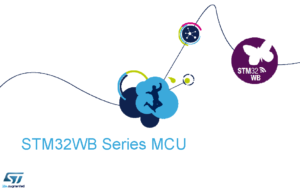 STM32WB, its first dual Arm® Cortex®-M-core MCUs (M4 & M0+) with embedded transceiver at 2,4 GHz. 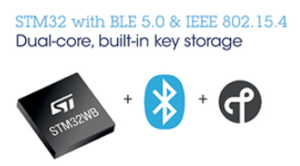 Arm Cortex-M0+ core drive a 2.4-GHz multi-protocol radio that supports Bluetooth 5.0, Thread, and proprietary IEEE 802.15.4 in a concurrent mode; the M0+ core also handles security and protection. 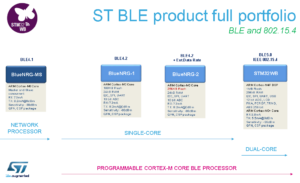 The STM32WB dual-core MCUs with wireless support (at 2,4MHz – BLE) are based on an Arm® Cortex®‐M4 core running at 64 MHz (application processor) and an Arm® Cortex®‐M0+ core at 32 MHz (network processor). 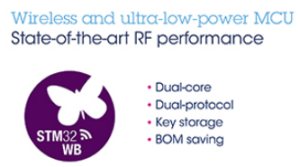 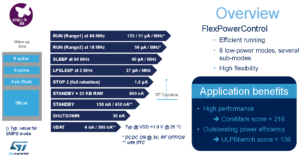 With two totally independent cores, this innovative architecture is optimized for real‑time execution (radio‑related software processing), resource use flexibility, power management, and BOM cost, to bring better user experience. 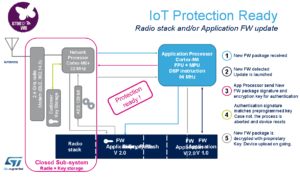 OpenThread-certified software stack is available. 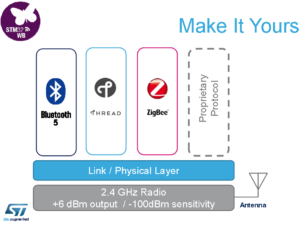 The radio can also run BLE/OpenThread protocols concurrently. 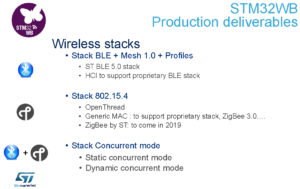 The embedded generic MAC allows the usage of other IEEE 802.15.4 proprietary stacks like ZigBee®, or proprietary protocols, giving even more options for connecting devices to the Internet of Things (IoT). 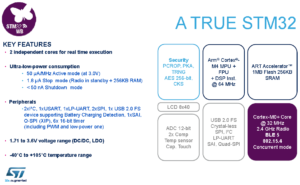 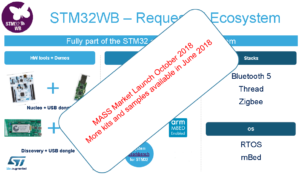 Here there is a STM32WB presentation (2018 v.1.0). 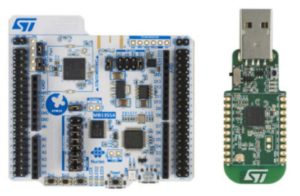 Evaluation kits coming soon and is: P-NUCLEO-WB55.